Not all drain baskets are equal. 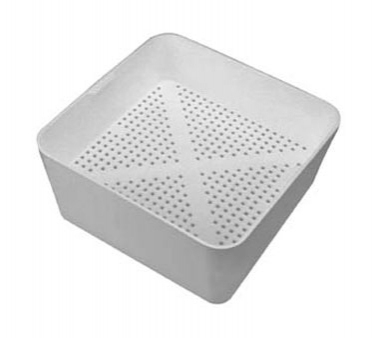 We've listened to our customers and developed the ideal drain strainer basket for restaurants and commercial kitchens. So what's the difference you may ask? No drainage slots on the sides. Solid waste will quickly result in restriced water flow. Large round holes allow more solids into your drains, making them less effective. They will not be able to capture rice and other small debris. Older materials will weaken when exposed to hot water. Thinner weaker walls. No handle or lip to pick up the basket. Features thin drainage slots that can catch finer products such as rice. Made of high strength plastic resin, making it more durable and resistant to high temperatures. Available with easy access handle and hard to reach handle. The handle protects employees from exposure to broken glass. Download the "No Two Drain Baskets Are Created Equal" PDF Flyer. We guarantee our drain baskets will outperform any other basket. Don't accept the imitators. Get a Drain-Net Basket!